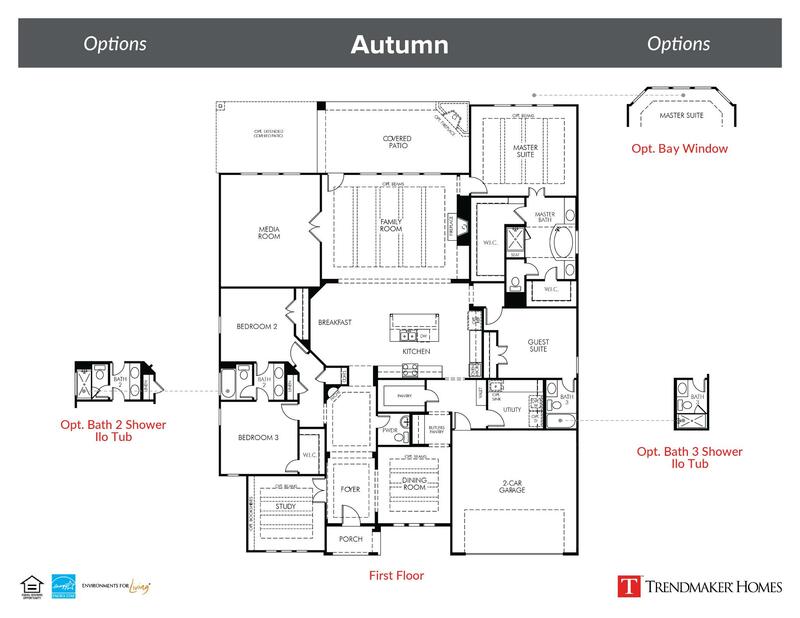 The autumn plan is beautifully designed with spacious rooms and an open, flowing layout that is perfect for entertaining or relaxing with family. Featuring a large open kitchen with stainless steel appliances, large center island, and giant walk in pantry that is truly at the heart of this home. A large covered patio makes the perfect excuse to hangout outside. The master suite includes a gorgeous master bath with split vanities and two oversized walk-in closets. With an additional guest suite, bedrooms, bathrooms, study and separate dining, this plan maximizes every square inch of space making it the perfect single-story dream home.